Booking an appointment is a kick in the teeth! Research reveals that dentists advertise NHS appointments only to refuse them in favour of a private appointment as quick as ‘next-day’. A study by consumer champion Which? 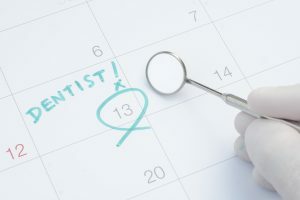 involving 500 different dental practices has revealed that a third of dentists say they are accepting new NHS patients but then do not or, if they do, the waiting list is very long. The dental practices involved advertise on the Government website, NHS Choices, and 3 in 10 practices turned down Which? researchers because they did not have availability and those who considered they had availability, were quoting a wait of up to 8 or 9 months. As a result of these findings Which? has called for the Competition and Markets Authority to step in and improve communication to patients about appointment availability, as well as treatment options and prices. A twitter campaign has now taken off with calls for a ‘clean up of dental costs’ and dentists to ‘polish up on prices’. Which? invited responses from the General Dental Council (GDC), the Care Quality Commission (CQC), NHS England and the Department of Health. The GDC’s response highlighted concerns over the research findings of poor practice and highlighted their “Standards for the Dental Team” guidance document published in 2013. Specific reference was made to the requirement of dentists to provide clear explanations of treatment options, clear explanations of the difference between NHS and private treatment and the display of price lists. However, no specific mention was made of the dental practices advertising NHS spaces despite not having any. Instead the GDC advised that they can, and do, take action if the dental practices are misleading patients and this is shown by the steady increase of their cases which involve pricing from 33 in 2012 to 114 in 2014. Surely what this really demonstrates is a rise in complaints and, I infer, a rise in dental practices misleading the public. Shortly after Which? revealed their research, the CQC announced changes they are implementing in relation to a new inspection regime for dental practices. Mick Armstrong, Chair of the British Dental Association, stated that the budget is shrinking and only covers 56% of the population before adding that these new findings should provoke the government to reassess its agenda. Whilst I feel for those dentists who cannot afford to offer more NHS treatment because the prices are too low and there isn’t enough time in the day, I consider that the public who are unable to get treatment they can afford, are a priority. If the dental practitioners of the UK are incapable of improving the situation then it is time the regulators took action.